The first and only handheld, wireless, portable breath alcohol device with Automated Facial Intelligence™ and GPS with every single test. 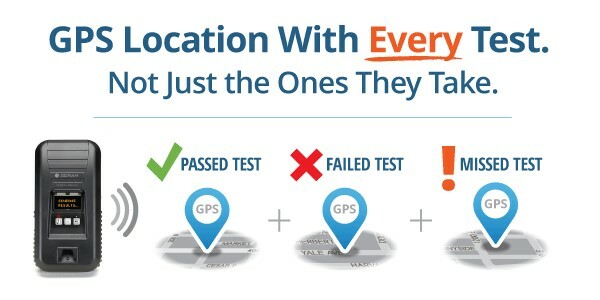 For your lower-risk offenders or those who have earned less intensive testing and monitoring. Where is Remote Breath® most effective? Knowing where your client is when he passes a remote breath test is important. But, knowing where your client is when he FAILS—or MISSES a remote breath test—is critical. 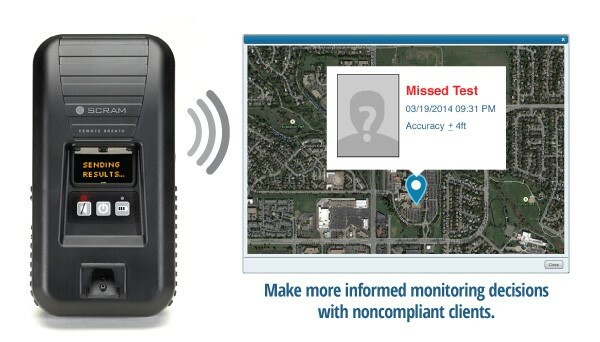 That’s why SCRAM Remote Breath®, from the makers of SCRAM Continuous Alcohol Monitoring®, requests a GPS location with both TAKEN and MISSED tests. What’s the first thing a client is likely to do if they’re drinking while under supervision? Miss a test. Or several. Does the client claim she forgot the unit at another location? You’ll find out. Has the client missed several tests—and you suspect he’s likely violating? You’ll know right away, and may be able to find the client.